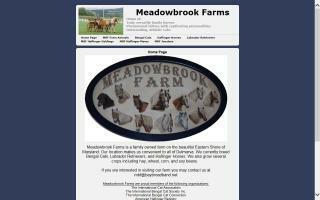 Haflinger Farms and Stallions Directory - O Horse! Happy Haflingers is breeding quality Haflinger Sport Ponies for combined or pleasure driving, dressage, combined training, vaulting, or just pleasure. Bred from fine imported and domestic Haflinger bloodlines. S-N-S Stables is a family owned boarding stable also offering English, western & therapeutic lessons. We offer horses for sale & rental of our indoor arena. We breed, train, and show Haflinger horses. Pasture board and full board services available. Overnighter horses welcome with advance reservations. We are close to the Kentucky Horse Park and offer boarding for non-compete or companion horses. We are a family farm. We love horses and treat them as our own while they're in our care. Venta de Haflingers. Se venden varios Halflingers de Holanda, yeguas y capados. Desde Septiembre, Adam Shereston, reconocido domador Inglaterra, comenzara los entrenamientos de doma natural. De esta forma introducirá en España esta forma de doma comenzando por nuestros ejemplares en venta. El dia 7, 14, 21, 28 septiembre, serás bienvenido a Mas Pitre a ver nuestras instalaciones y Adam Shereston trabajando con nuestros caballos. Si compras uno de nuestros ejemplares te daremos un curso de 2 días, valor 225 euro, totalmente gratis. Mas Pitre también ofrece clínicas con Adam Shereston, Puedes traer tu caballo. Haflinger horses from Promised Land Stables. Breeding some of the highest quality Haflingers. The Haflinger's size and temperament makes it a good candidate for the perfect family horse. Please see our site for beautiful pictures of the modern Haflinger. Francine & Michael Bobal. Sugar Creek Haflinger Farm in Northern Cambria, PA, is a small breeding farm where our horses learn trust from the beginning. They are handled daily, love people, and are easy to be around. Haflingers are perfect family horses.